How to use the rules of volleyball to win more points for your team? If you are looking for very simple and easy-to-understand volleyball rules, scroll to the bottom of this page. Volleyball Rules Scenario 1: Volleyball above the net, "on the neutral zone"
Volleyball Rule: When ball breaks the plane of the net (when even a little part of the ball is on the other side of the net), both teams have the right to play the ball. If you are a blocker (front row player) in previous situation and setter of the opposing team is a back row player, when you as a blocker put your hands to the ball referee supposed to call the ball to your advantage. How to use the rule in the match? When the opposing setter is back row setter and the ball flies to the neutral zone, the front row players should try to contact the ball. 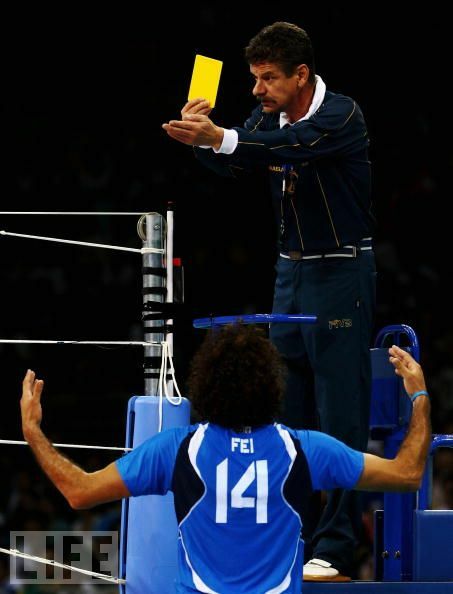 If they manage to do it and the ball touches setter's hands, referee supposed to call a back row block for the setter. If the opposing setter is a front row player, the rally continues normally because neither player has committed to an illegal play. Important: Notice that if a blocker jumps to the setter, the blocker has to make sure s/he is able to stop the setter. In case the blocker misses it (and hangs in the air when setter sets the ball) - it will be an easy task for attacking team to score a point with their offense. If setter is back row and the pass is flying to the other side of the net - setters often are trying to do a trick - they jump up high, push their hands towards the ball and pretend to set the ball. 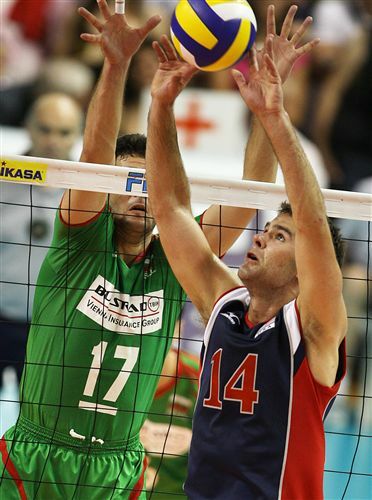 However, in the last moment the setter pulls the hands off to let the ball drop to the other side of the net. Blockers often are not awake and let that ball drop straight on their side. Blockers could win that ball just by being ready to attack the ball when it breaks the plane even a little bit. Blockers have a huge opportunity to win that ball, because if they attack or block the ball to setter's extended hands, it should be called back row block for the setter. 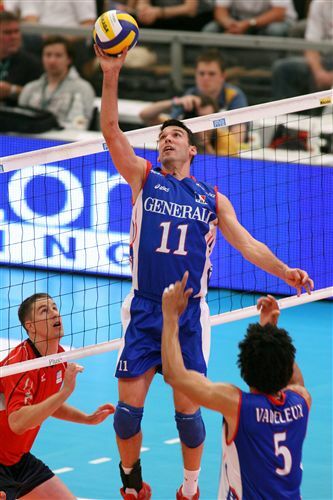 This previous volleyball rule "the ball on the place of the net" is probably the most common rule to confuse people. To keep it simple, just remember - if the ball breaks the plane, both teams has right to play the ball. to discover rules that have recently changed. to find rules of volleyball in an easy to understand format. Rules do not include "rule book language."